Microbial, as well as plant and animal, species are migrating into new areas along with an upward trend in temperatures and unusual weather patterns. Persistence of such unusual climate conditions may radically alter the nature and composition of marine, aquatic and terrestrial ecosystems which form the foundation of local economies, communities and societies. Prized and endangered bluefin tuna are now being caught in Arctic waters. Skipjack tuna are being caught in northern Pacific waters off Alaska. Though unwilling to attribute the presence of these warmer water, as well as other, species far north of their typical ranges to climate change, both instances were attributed to changing wind and weather patterns and dramatically warmer ocean waters. On land, microbes once found only in warmer regions and at lower elevations in the tropics are now found at higher elevations. Some bring the threat of diseases that not only threaten human, but plant and animal species upon which human populations depend, such as coffee leaf rust, which is threatening the coffee industry and the livelihoods of some 14 million people in Latin America and the Caribbean. Colombia’s National Coffee Research Center (Cenicafé), in cooperation with the University of Maryland and Cornell University, on September 11 announced they had sequenced the entire genome for Coffee arabica and Coffee eugenioides species – 22 chromosomes and more than 30,000 genes. It is believed that sequencing the coffee species’ genomes and releasing the information into the public domain will spur attempts to cultivate coffee species resistant to climate change and pathogens, including coffee leaf rust. Sequencing of the Coffee arabica and Coffee eugenioides’ genomes marks a milestone in an ongoing climate change adaptation and mitigation project based on natural cross-breeding taking place in Colombia. Supported by the Inter-American Development Bank (IADB), the Regional Fund for Agricultural Technology (Fontagro) and the Colombian Coffee Growers Federation (FNC), genome sequencing of Coffee arabica and Coffee eugenioides by Cenicafé, the University of Maryland and Cornell is expected to speed up natural cross-breeding and selection of new varieties of the species that are more resilient to climate change, as well as resistant to pathogens such as leaf rust. 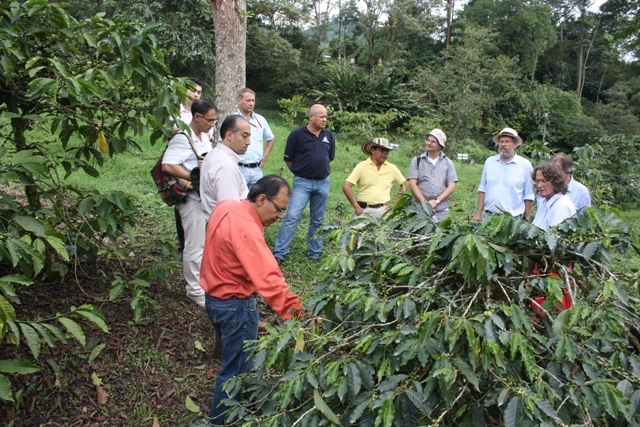 Development and adoption of new varieties of coffee can take over 12 years, IDB notes. 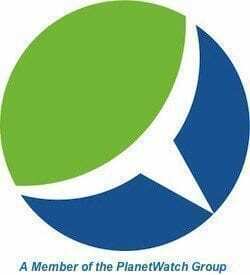 That time frame may be shortened considerably now that these genome sequences are known, the multilateral development bank says. Sequencing of the Coffee arabica and Coffeee eugenioides’ genomes comes in the wake of a Sept. 5 announcement by French researchers of the sequencing of the genome for another coffee species, Coffee canephora. With exports valued at $15.4 billion in 2009-10, coffee is the most widely traded tropical agricultural commodity in the world. Coffee arabica accounts for some 75-80 percent of worldwide coffee production. Coffee eugenioides is native to the highlands of East Africa. Coffee canephora makes up some 30 percent of worldwide coffee production. 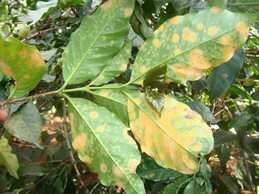 The result of the spread of a fungus, leaf rust has become a mortal threat to coffee crops at cooler, higher elevations where it hadn’t had a significant impact before. Now it’s causing serious damage to coffee production, and the livelihoods of coffee farmers, workers and communities, in Central American countries including Guatemala, Honduras and Costa Rica. Over 50 percent of Central America’s coffee farms were affected by the coffee leaf rust fungus during 2012-13. More than 350,000 lost their jobs as a result. In addition to incursions by the coffee leaf rust fungus and other pathogens, longer winters and summers and excessive rains are taking a harsh toll on coffee farmers, their families and communities. The video below, produced by IDB’s BIDtv, explains how coffee cultivation is the primary livelihood for over 280,000 families across the world’s coffee belt. A New Coffee Breed for Colombia from BIDtv on Vimeo.